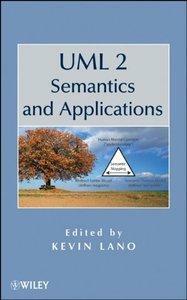 Kevin Lano, "UML 2 Semantics and Applications"
Additionally, readers are provided with expert guidance on how to resolve semantic problems and a section on applications of UML semantics with model analysis. UML 2 Semantics and Applications is an ideal resource for researchers and tool-builders working in UML, among others. It is also an excellent textbook for postgraduate teaching and research.